Along with the delicate nature and visual beauty, the floral scent of flowers is one reason why we are in this “sweet” business. However, we absolutely appreciate arrangements of non-fragrant flowers every once in awhile. There are several reasons why you also might be looking for flowers without a strong smell. 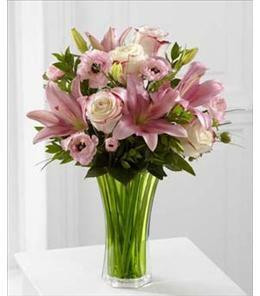 The recipient might suffer from allergies and have a reaction with strong scented flowers. Some people are highly sensitive and can get headaches from the fragrance that some flowers produce. In some circumstances, it is not permitted to send scented flowers to certain places, such as a nursing home or hospital. This is to ensure that other patients, residents or staff are not bothered by the scent, should they be sensitive to certain flowers. For occasions that require you to wear or hold flowers for long periods of time (ie. 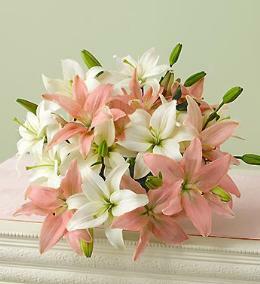 prom, graduation, weddings), choosing an unscented flower will make the day more tolerable. Even the prettiest fragrances can get overwhelming after long periods of time. Always be sure to check with the recipient and the building’s restrictions before sending highly scented flowers. Or, to be on the safe side, choose an arrangement of unscented flowers if you’re not sure. Luckily, flowers do not lose even the smallest amount of beauty if they do not produce a fragrance! 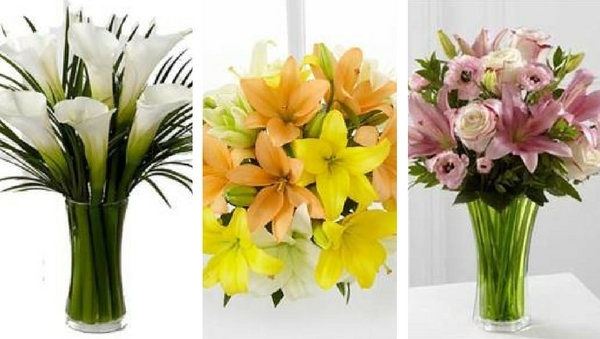 We have plenty of beautiful flowers to choose from at Brant Florist… the following are flowers without fragrance. 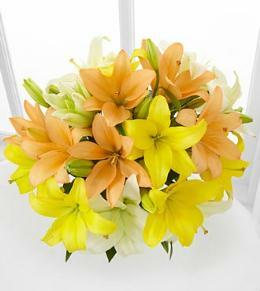 Asiatic lilies are a wonderful way to send your recipient a bouquet of colour, while being mindful about the scent. This particular type of lily does not give off a strong fragrance, and they still bloom in all different types of colours. You can get this popular flower all year round, and it is a safe arrangement to send to any establishment. This is a simple yet classic flower that has a very modest fragrance. 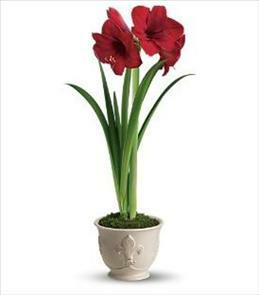 This red amaryllis is simply beautiful, and does not come with an overwhelming scent. Another flower that comes in an array of colours, the ranunculus is also a non-scented option. These smaller blossoms are often used in bridal bouquets as well as corsages and boutonnieres. The humble fragrance of the ranunculus flower makes them tolerable to wear or carry around for long periods of time, such as with the corsage and bridal bouquets. Calla Lilies are beautiful and elegant flowers. You can feel great about sending these flowers to any establishment or recipient. They are classic and sophisticated. Let their blooms do the talking, instead of their scent! 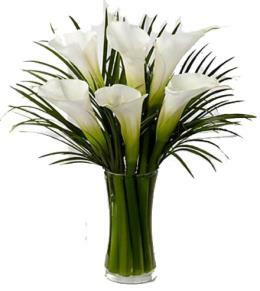 Other unscented flowers include gerbra daisies, tulips, iris, gladioli and some exotic flowers like birds of paradise. We also make custom arrangements! If you don’t see what you’re looking for on the website, give us a call at 905-634-2658 or send us an email for assistance. We can design a custom arrangement with or without scented flowers depending on your preference! Ask us directly if you’re unsure about whether to send a scented flower or an unscented flower. 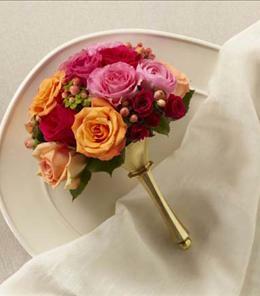 Our team of experts will be happy to assist you in choosing the perfect flower for whatever occasion! 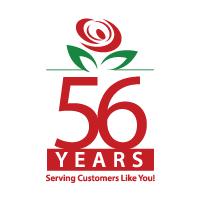 We look forward to designing the perfect flower arrangement for you or your recipient.